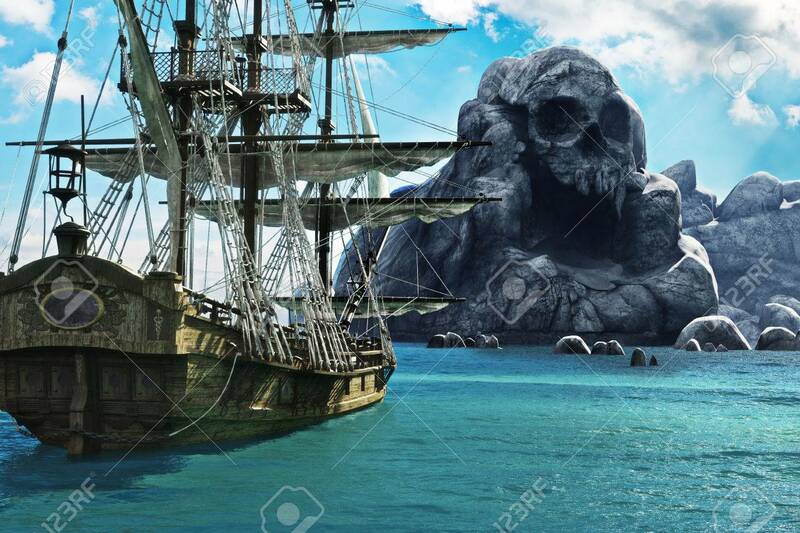 Search For Skull Island. Pirate Or Merchant Sailing Ship Anchored.. Stock Photo, Picture And Royalty Free Image. Image 64765011.